You are here: Home / Be The Mom / Teach, Yes – Demand, No! Sometimes as a mom I blow it. 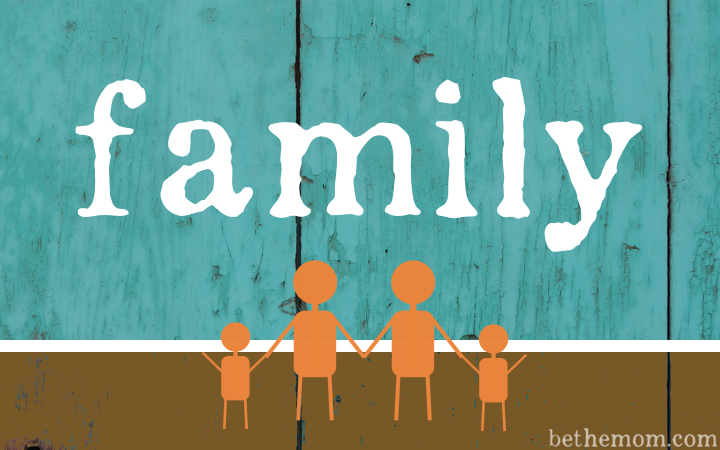 A willingness to admit and adjust is a necessity as a mom. Can you relate? For the next several minutes she got a lengthy “mom speech” about how she did not clean her room thoroughly because she left a big pile of stuff under her desk. I exited her room thinking I had just done some excellent teaching on work ethic. It wasn’t until later that night that I realized the error of my ways. That error glared at me as I was getting ready for bed – turning down the comforter, grabbing the pillows and dropping them in “their spot” on the chair. But in the chair was a huge pile of junk, so I had to place the bedding on the floor. That’s when the obvious flew up and smacked me upside the head. I had my own pile of stuff sitting in my room. That I planned to get to “eventually” but for now it was just there, making a mess until I could get around to it. How would I feel if someone berated me for that? Not too good that’s for sure. I drew in a deep breath and recognized I owed my sweet girl and apology. As I entered her room I found her piled up in bed, eyes affixed to a book. She laid it down gently, looked up at me wide eyed and cheerily asked, “What’s up, Mom?” I reminded her about our “conversation” earlier that day – that “conversation” that sounded a whole lot more like a “berating my child session” than a conversation. I apologized to my daughter and asked her if she would forgive me. She quickly and easily did. She went on to share with me that I indeed made her feel like a failure, when she thought she had done what I had asked. Oh moms…take it from me – do not demand perfection, as God will quickly point out just how far you are from perfection yourself. Grace and understanding, while teaching your children go a lot further than demands and berating. 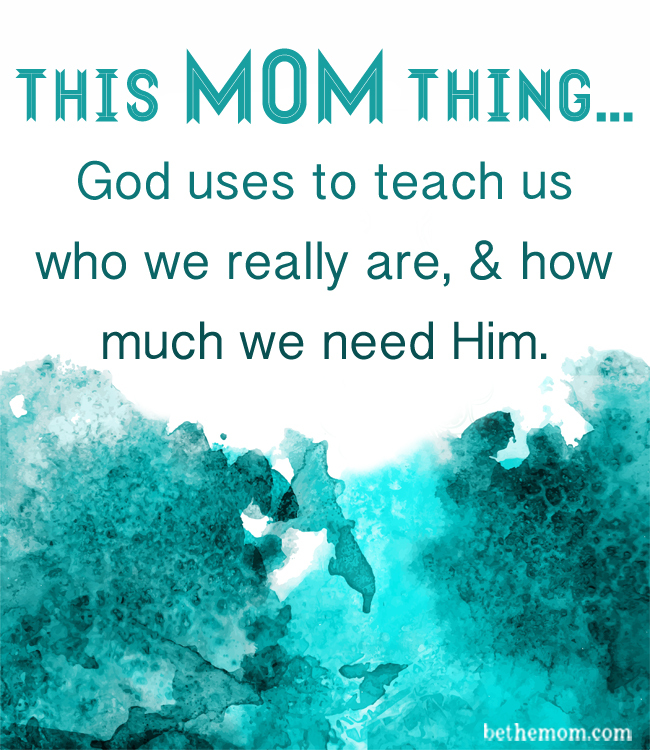 This mom thing…God uses to teach us who we really are, and how much we need Him. Boy did I need that, I am struggling so hard between being on top of teaching self-reliance, and allowing for small graces, I don’t want to raise a messy, lazy hoarding, procrastinating pig like myself…. So iam teaching by the do as I say and am taking small steps to change approach rather than the the do as I do…. But either way, I teach him to rely on God to deliver our needs which can also be an excuse if we let it. He’s almost 15 and I’ve obviously through good intentions made some profound mistakes, that I’m seeking council in all arenas and venues to fix. Thanks for your intro on MOB, glad to find you!